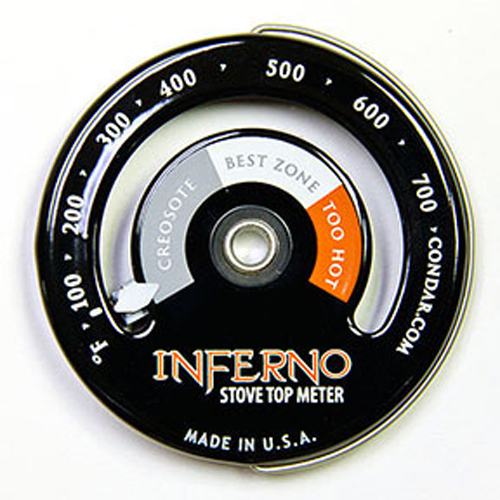 The use of stove thermometers is highly recommended, as they display accurate temperature information during stove operation. Knowing the temperature helps prevent operating the heating appliance either too hot or too cold, providing efficient performance. 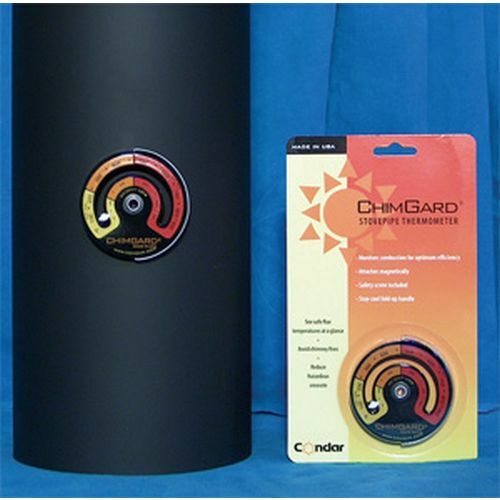 Also they can be invaluable in establishing a reference to control heating performance and regulating home temperature. When placed on the stove top while using stove top fans such as the EcoFan, they provide the needed temperature information to assure that these fans are not overheated. They are also great for using stove top humidifiers and cooking on the stove top. 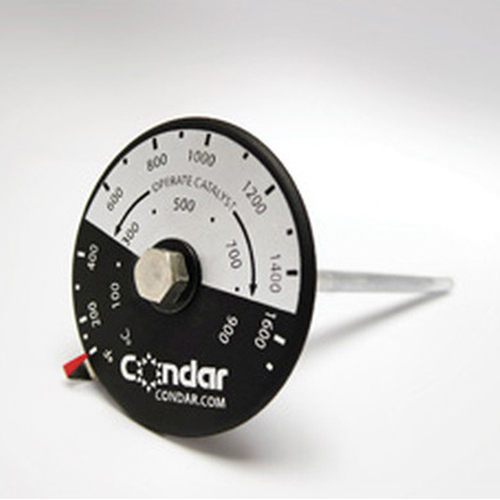 Thermometers are available in two styles, magnetic and stem(internal). 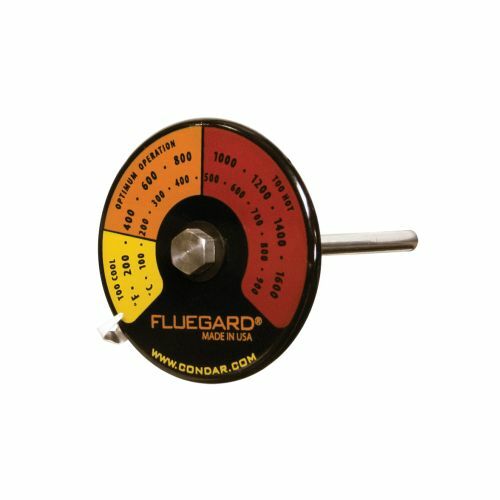 The magnetic thermometer can be placed almost anywhere on the appliance while the stem style is designed to provide the internal temperature of the flue gas during operation. 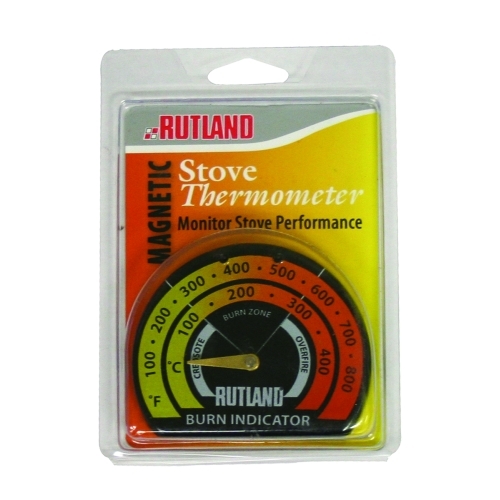 If you have double-wall stove pipe, a stem style thermometer must be used for correct temperature reading. 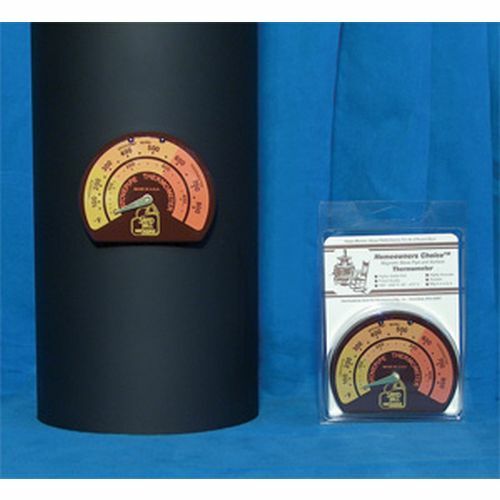 Catalytic probe thermometers are specifically used to monitor flue gas temperatures at the catalytic combustor in a wood stove. They are included here, and more detailed information may be found in our Catalytic Combustor category.